While more than 59 million Americans get Social Security checks each month, hardly anyone is an expert on how the benefits program works. In fact, most people don't even know the basics. 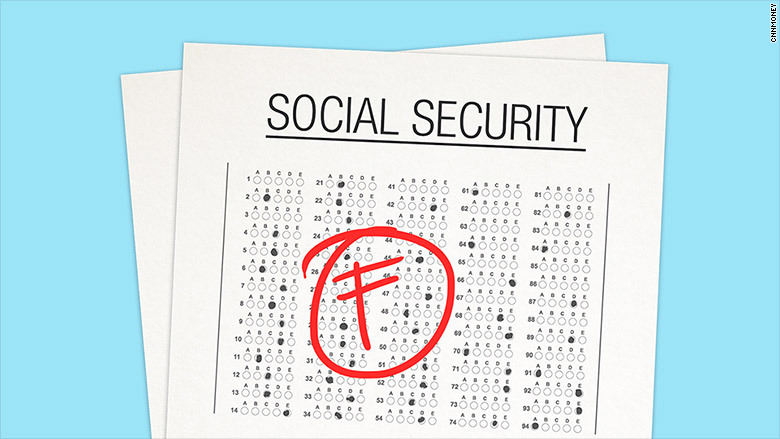 About 70% of people who took a 10-question quiz about Social Security facts flunked, answering three or more of the questions incorrectly. A lot of people didn't know how old they have to be to get the biggest Social Security payments possible, or whether they can collect based on their ex-spouse's earnings. Only one person out of 1,513 people who took the quiz got a perfect score. (It was a retired woman from the South that scored 100%.) The group was surveyed by the life insurance company MassMutual and included people 18 and older, though 40% of them were over 50. Without a basic understanding, Americans might be "underutilizing" Social Security, said Michael Fanning at MassMutual. Social Security is a lifeline for many retirees, making up more than half of income for 52% of married couples and 74% of singles, according to the Social Security Administration. Here are some questions that stumped the crowd. About 70% incorrectly believed that they can get their full Social Security benefits at 65. It actually depends on when you were born, but for most people it's 67. You can start receiving Social Security as early as 62, but doing so reduces your monthly payment for the rest of your life. More than half wrongly thought they can receive their full benefit payment while continuing to work. You can get Social Security while you work, but some of the payments will be withheld if you're pulling in over a certain amount of money -- until you reach your full retirement age. About half were unaware that they can collect Social Security based on their ex-spouse's earnings. As long as you were married for at least 10 years and are now single, you are eligible for a bigger Social Security check if your ex made more money than you. Three-quarters of people incorrectly thought citizenship is necessary to receive benefits. It's not, but you must have legal resident alien status and permission to work in the U.S.
To test yourself, take the MassMutual quiz here.